I thought I’d do my public duty and share the Rabina4Mayor canvassing campaign diary that has been sent to me. The Limhouse ward organising meeting at 7pm tomorrow in the “Limehouse portakabin” sounds fun. If any other candidate would like this service, do get in touch. Thanks. (For comedy, see update at the end of this post). Hello everyone on Glyns list, Sybil has kindly put together this list of activity. – Thanks for helping with Rabina’s campaign. As ever, if you no longer want to receive these emails please let Jackie know. Here is a list of things you can join in with. Leafleting Primary Schools in the mornings and at the end of school is a very good way of talking to people about the issues. At ward level there are meetings in some areas to get the canvassing organised. These are listed below. Saturday at 1pm Whitechapel Ideas Store – Defy Austerity demo – bring Banners to protest at Tory Austerity and in defence of Local Democracy. Here are details of Primary Schools and Tube stations to be leafletted. If you would like to help with door to door leafletting and canvassing in your ward or near where you work please email: rabinaformayor@gmail.com to be added to our mailing list. The word brewery springs to mind. This extraordinary ‘interview’ with Rabina Khan has been published on YouTube and is being actively promoted on social media by her supporters. The interviewer, Aaron Bastani, is not a journalist but some kind of political activist who runs a media company called Novara Media. The video is six minutes long and worth watching if only for the fun factor. When I watched it I got the impression that even Rabina was a little embarrassed by the softball questioning. “What does it say about Labour that the ‘fightback’ begins against a Left-wing anti-austerity woman?” is Aaron’s penetrating opening gambit. I’ll let you count how many times he asks about the Election Court trial and corruption. Toe-curling. 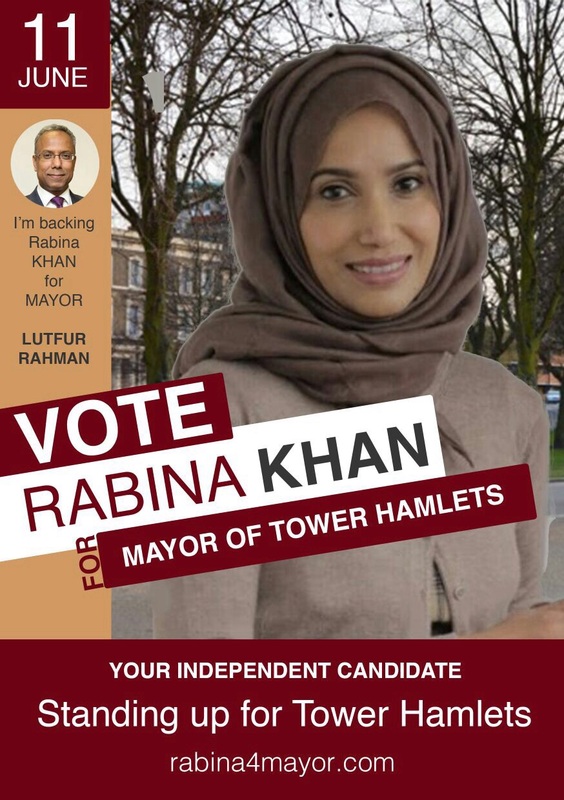 In fact, it took Rabina herself to raise the issue of Lutfur Rahman. “He has his issues, I have my own way of going forward,” she tells Aaron. Aaron, possibly unaware of the careers of Pola Uddin or Rushanara Ali, for example, or that Rabina was the only female councillor in Lutfur’s team, also suggests that Labour has a problem with “Muslim women” who want to progress from being mere “footsoldiers” for the party to becoming leaders in positions of power. Does he have a point? 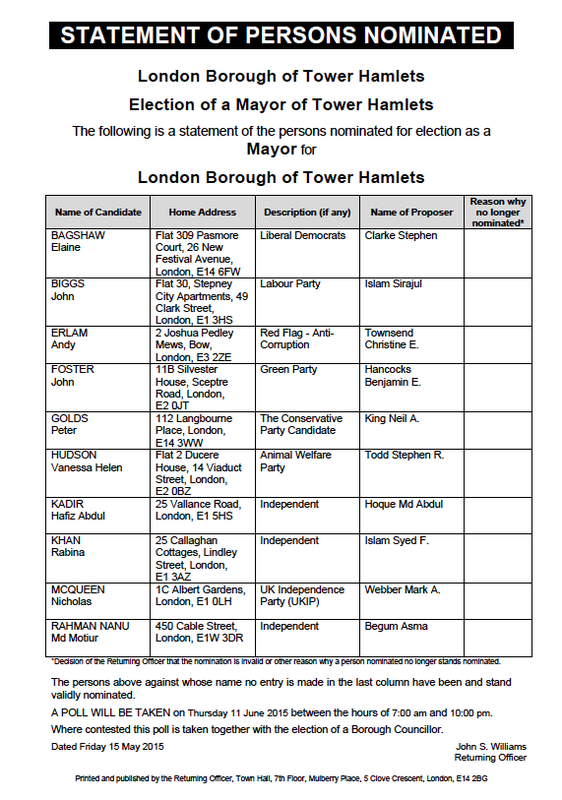 From my many years of following Tower Hamlets politics, I think it’s more to do with a lack of talent to be honest. Male and female. Of all faiths and none. And on that point, I think Rabina would have been cleverer to decline such a fawning interview. 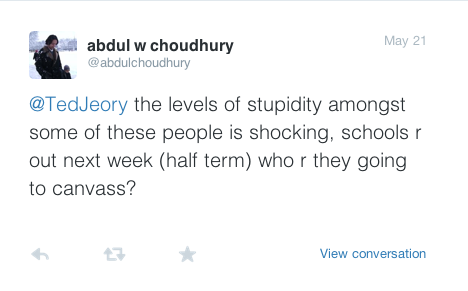 Her supporters in the Bengali media are promoting it but I think it just insults the intelligence of the viewer. A second video of Rabina was also published today on eastlondonlines.co.uk, the site run by student journalists at Goldsmiths College. I’m going to be nice to them because they do much good work. And in any case, they don’t pretend it’s an interview. Here it is. 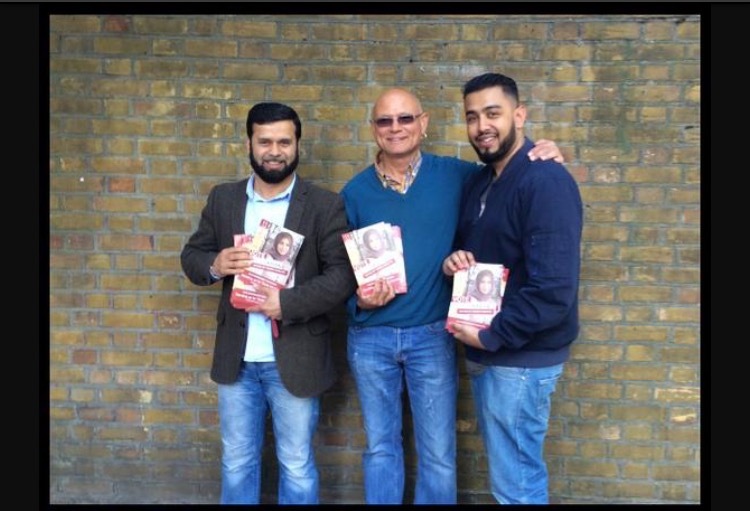 In other developments, as predicted, John Biggs has announced he would appoint three deputy mayors: Rachael Saunders, Sirajul Islam and Shiria Khatun. 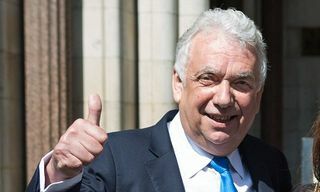 Various people who have been out campaigning tell me that they detect less of a buzz on the doorstep about Rabina compared with Lutfur, but that John will still find it difficult to attract Lutfur voters anyway. I’m also told that many in the Bengali media believe that had Labour selected a Bangladeshi candidate this time, they’d far surer of a win. 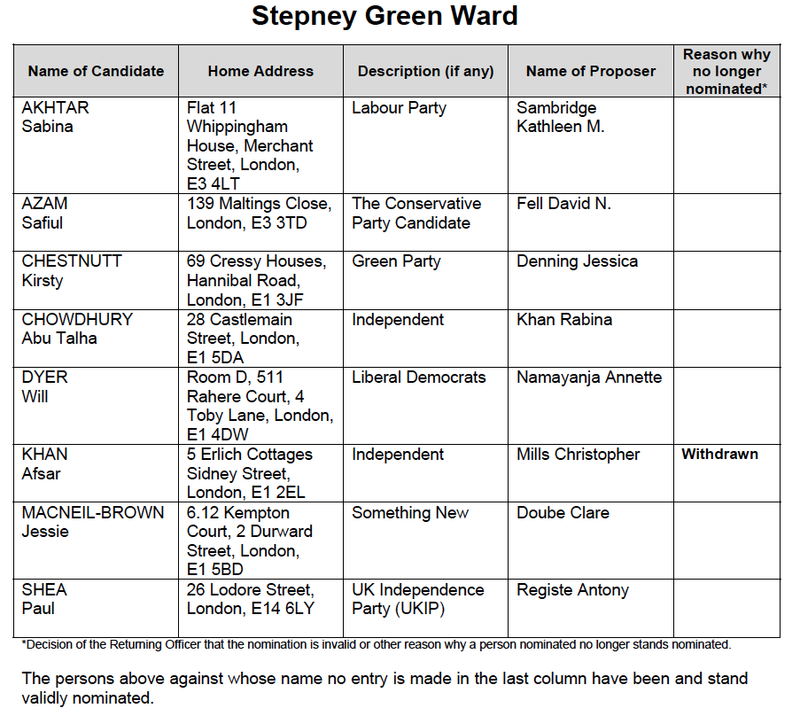 Tower Hamlets, eh.